The blueberry liquor is a common treat for visitors in Romania (we call it "Afinata"). We occasionally add drops of blueberry liquor in fruit salads, or we use the berries in the recipe to make desserts (for example, the Chocolate Blasts). And if you need another excuse to enjoy it, then you should know that it supposedly has curative virtues in treating different conditions. I don't remember a guest who tried this recipe at my place and did not ask for a recipe - so here it is. - Wash the blueberries thoroughly, then dry with a paper towel. Place them in a large jar, accompanied by the sugar (make sure the sugar is spread all around the berries, not just in a uniform layer on top or on the bottom). Also, add the vanilla bean now, if you're using it. Cover the jar, mix occasionally (about once per day), and let sit for around one week (until the berries are covered in syrup and there is no more visible sugar). - Add the alcohol. If you want to add vanilla essence (and did not add a vanilla bean earlier), now is a good time to do so. Cover the jar, and let sit at room temperature for 1-2 months. - Serve at room temperature or with a few cubes of ice. 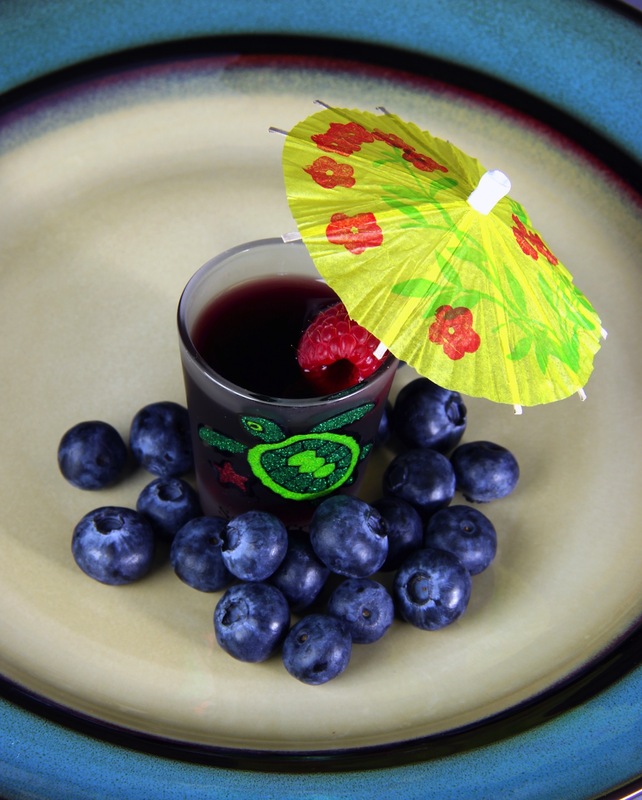 - I opted to present it surrounded by fresh berries (the source of the flavor in the drink). - I further threw in an colorful cocktail umbrella to make the whole presentation more lively. after you put the ingredients in the glass jar-where do u keep the jar refrigirated or room temperature? Please store it at room temperature. I'll also update the post. Thank you for the question.